2 BR condo equipped with internet access, flat screenTV (cable) DVD,CD player, Kitchen and both bathrooms have been updated: stainless appliances; granite counters and 2 deep soaker tubs; microwave, dishes, cutlery, pots and pans. Comfortably furnished.Large outside deck. Building has a great hottub..covered and large. PLEASE NO SMOKING! No Pets. Ski-in/out location; shared outdoor hottub and free UG parking. Pool is open May to October. 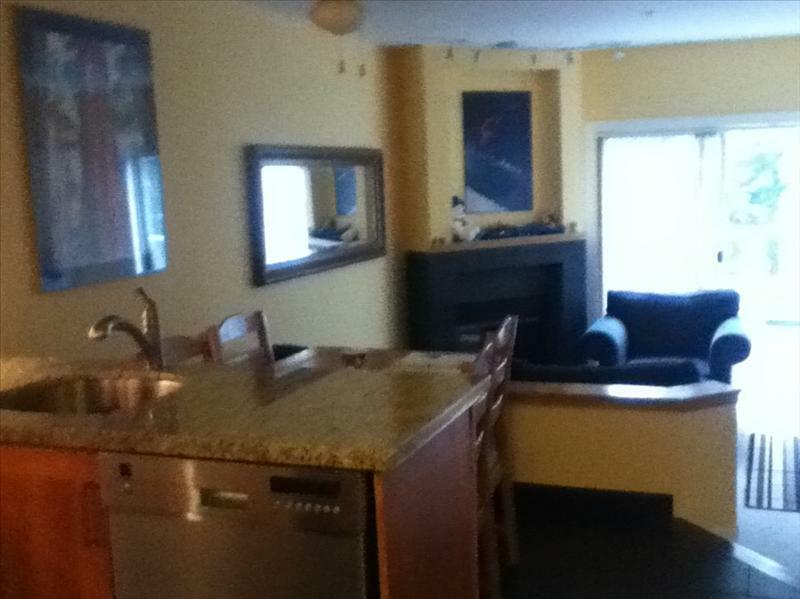 This is a very nice, clean place with easy access to all that Whistler has to offer.